Jesse Fischman is from Blue Summit, a bluegrass/swing band of originals and some classic songs. Blue summit is based in Santa Cruz that originated at Strawberry Music festival in 2015. It is composed of friends that have been playing music together at festivals all over California for years. 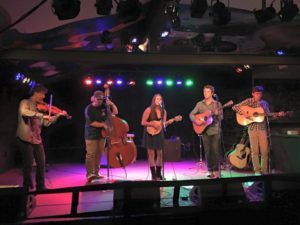 Jesse Fischman has played with the many bluegrass and country growing up in Sonoma County and is well known in the bluegrass community. He currently studies Biology at UCSC. Blue Summit is an up and coming band that is playing many festivals this summer and around Santa Cruz in the coming months!